The best thing about automatic garage doors is the convenience and security they can offer. There's nothing like simply pushing a button on the remote or – with more advanced systems – your smartphone, and watching it open like the mouth to a cave from a fabled story. When problems occur, however, it can be very annoying to be unable to use the system, especially when you're in a hurry. Not to mention, some garage door problems can actually be very dangerous. That's why this type of system should only be handled by professional technicians who know exactly how to fix every little thing that can go wrong. Luckily for you, you don't have to look very far. In fact, you're already on the right website. Naturally, the hardest working parts of the mechanism will require some more frequent attention than other components. Garage door springs certainly fall into this category, as they are in charge of supporting the weight of the panels and counterbalancing it using tension-based force. Without them, trying to open the door would be a true feat of strength. However, a broken spring is no trivial matter, and this type of problem should only be handled by a professional technician. Even adjusting these units can be dangerous, so if your door seems unbalanced, be sure to have our team tend to it and don't risk trying to DIY. Unfortunately, the springs aren't the only source of potential problems. The electric opener – which is the motorized device that automates the movement of the system – is also liable to malfunction due to different reasons. The motor itself can burn out and its gear will need to be replaced. Even some of the electrical circuitry, or the entire circuit board, can get fried due to power surges. Whether it’s a mechanical issue or an electrical problem, our experts will be able to assist. 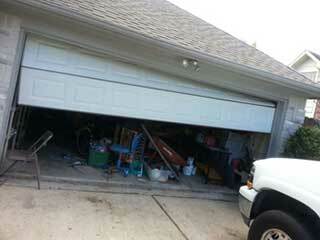 There are all sorts of potential issues that garage door owners can experience. Lift cables can become frayed and will break after a while or get tangled. Bent tracks and worn rollers are also probably issues you can face the older the door gets. Even the panels can get damaged, either due to impacts or because of environmental conditions. Rust and rot are two common enemies that those of us residing in moist climates have to wage an endless battle against. You don't have to look very far when faced with problems with your automatic door system. All you need to do is contact Gate Repair Altadena and our technicians will be on their way. Our same day service policy means you can always expect us to send our specialists over as quickly as possible. Driveway gates are important, and keeping yours working is vital for your security and peace of mind. Our team provides a wide array of automatic gate services for both residential and commercial properties; feel free to explore our site and learn more about what our experts can do to help you. Thank you for choosing Gate Repair Altadena! One of our experts will be in touch soon. Feel free to browse our website for FAQ, tips and more useful information in the meantime!